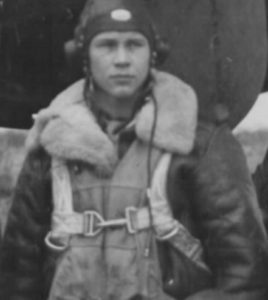 1st Lt Millard Hollenbeck "Bill" Jewett Jr. (O-670556). Born 29 May 1923 in Schenectady, NY. Son of Lydia A. (Vanauken) and Hillard H. Jewett. Enlisted in the Army Air Corps (AAC) 12 March 1942 at Albany, NY. 2nd Lt. Jewett promoted to 1st Lt. effective September 6, 1943. 1st Lt. Jewett transferred to Hq. 91st BG, 24 April 1944. 1st Lt. H.M. Jewett assigned and joined 401st BS from Hq. 91st BG 18 May 1944. Married Ann Marjorie Harrison of New York on 7 December 1944 in San Antonio, TX. Died 12 July 1992 in KS. Buried at Hillcrest Cemetery, Derby, KS. Position on aircraft, Pilot. 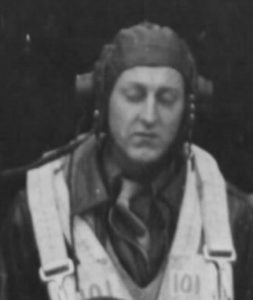 1st Lt. Julius D.C. "Andy" Anderson (O-802694) was born on 4 February 1917. Anderson was the son of Artis Lee and Fannie E. (Smith) Anderson of Healing Springs, Alabama. He worked for the Washington County Board of Education before joining the military. Anderson enlisted 30 August 1941 in the Army. He was Killed in Action 29 March 1944 aboard 42-97246. Anderson's body was returned to his home and he was buried at Shady Grove Baptist Cemetery in AL. Position on aircraft Copilot. Anderson's brother, Robert Fulton., served in the Army from 1942 to the end of the war and held the rank of captain. 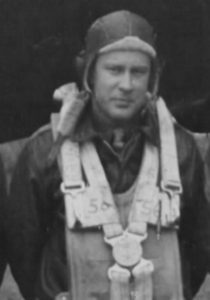 2nd Lt. James Edward Peacock (O-735144) Born 17 October 1917 in Fremont, NC. Son of Frank Lee and Lula Serena (Aycock) Peacock. Married Nancy Lou Rose 6 April 1946 in Wayne County, NC. Attended the University of North Carolina. Peacock was shot down 3 November 1943 on a mission over Wilhelmshaven, Germany. He was performing the duties of the navigator aboard the B-17 42-39802 piloted by 1st Lt. Kenneth B. Rutledge. Imprisoned at Stalag Luft I, Barth, Germany, (South) Barrack 3, Room 10. Position on aircraft, Navigator. 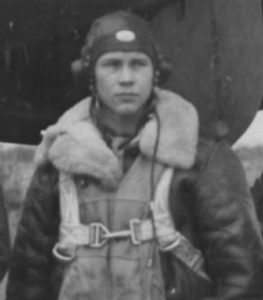 2nd Lt. Joseph Charles Wellman (O-733340). Born 7 March 1918 in Colorado. Son of Benjamin H. and Margaret (Callaghan) Wellman. Awarded the Air Medal (oak leaf cluster) 29 February 1944, for the destruction of enemy aircraft. Married Lorene Erickson 14 July 1945 in Spokane, Washington. Position on aircraft, Bombardier. On 22 March 1944, Wellman was flying with Capt. Charles Rowley Phillips' crew aboard 42-97125 on the mission over Berlin when they were forced to abandon the aircraft. All crew members were taken prisoner by the Germans. Wellman was incarcerated in Stalag VII-A Moosburg, Germany. S/Sgt. Winfield Basil Neal (33349695) was born 23 November 1920 in Covington, Pennsylvania. He was the son of Merrill Basil and Dorothy Elizabeth (Freeman) Neal. He was employed at Corning Glass Works, Corning, New York in 1942 before he entered service. He also worked as a hired hand in Ontario, NY in 1940. His mother was born in New York but there seems to be no connection with her family while there. Neal listed a tattoo on his right arm of a "dagger through a heart' on his draft card. He enlisted in the Army 8 August 1942 at Wilkes Barre, PA. Departed for oversea's duty 19 August 1943 and returned to States 26 August 1944. Discharged 23 September 1945 at Amarillo, TX. He married Dorthy Mary Hurd 25 July 1945 in Amarillo, TX. She was born in Elmira, NY. but was living in West Branch, PA by the early 1930s. Winfield died 16 April 1990 and was buried at Middlebury Union Cemetery, Tioga, PA. Position on aircraft, Top Turret Gunner. T/Sgt. Warren Jesse King (33300116) Born 15 March 1921 in Armstrong County, PA. Son of Jesse Owen and Louisa Anna (Cook) King. Enlisted in the Army 2 August 1942 at Pittsburgh, PA. Overseas (1) 19 August 1943 to 17 October 1944. Overseas (2) 11 April 1945 to 2 December 1945. Discharged from service 5 December 1945 at Indiantown Gap, PA. Married Evelyn Nelle Riffer. Died 23 Feb 2002 at Ellwood City, PA. Position on aircraft, Radio Operator. S/Sgt. Frederick Henry “Jack” Lenke Jr (15329917). Born 26 July 1922. Son of Frederick H. and Lula Mae (Dixon) Lenke. Attended Port Clinton High School. Enlisted in the AAC 29 October 1942 at Camp Perry, Lacarne OH. Assigned and joined 91st Bomb Group, 4 September 1943. Discharged from service 12 October 1945. Married Vernabelle Brokate 22 May 1946 in Ottawa, OH. Lenke was a sergeant with the Erie County, Ohio Sheriff’s Department after the war. Died 22 July 1980. Buried in Roose Cemetery, Oak Harbor, OH. Position on aircraft, Tail Gunner. Lenke’s brother Robert R. Lenke also served in the U.S. Army during WWII. Elmer Weaver. Died 14 August 1995. Position on aircraft, Right Waist Gunner. Joseph York. Position on aircraft, Ball Turret Gunner. Steve P. Resko. Position on aircraft Left Waist Gunner. 23 September 1943, Lt. M. H. Jewett (P), Lt. J. P. C. Anderson (CP), Lt. J. E. Peacock (N), Lt. C. S. Hudson (B), T/Sgts. W. F. King, J. A. Wood, Sgt. J. York, S/Sgts. 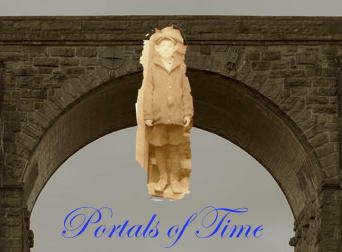 Elmer Weaver, S. P. Reske, F. M. Lenke flew mission to Nantes, France, A/C [42-29]793-Sheila B. Cummin. 26 September 1943, Lt. M. H. Jewett (P), Lt. P. O. Anderson (CP), Lt. J. E. Peacock (B0, Lt. J. C. Weltman (N), T/Sgts. W. B. Neal, W. F. King, Sgt. Joseph York, S/Sgts. 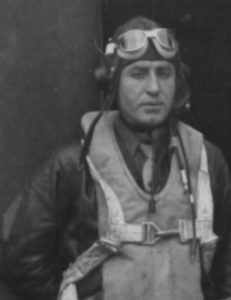 Elmer Weaver, S. P. Resko, F. H. Lenke flew mission to Meulan, France, A/C 080. Photo Caption: Heavy flak bursting around Boeing B-17's as they approach target, Dorneir Assembly Plant at Meulan, France. 27 September 1943, Lt. M. H. Jewett (P), Lt. J. P. Anderson (CP), Lt. J. E. Peacock (N), Lt. J. C. Weltman (B), T/Sgts. W. F. King, W. B. Neal, Sgt. Joseph York, S/Sgts. Elmer Weaver, S. P. Resko, F. H. Lenke flew mission to Emden, Germany, A/C [42-29]793 - Sheila B. Cummin. Photo: An unidentified B-17 loses its wing from flak over Emden. 9 October 1943, Lts. M. H. Jewett, D. C. Anderson, J. E. Peacock, J. C. Wellman, T/Sgts. W. F. King, W. B. Neal, Sgts. York, L. W. Bryant, S/Sgts. S. P. Resko, F. H. Lenke flew mission to Anklam, Germany, A/C [42-29]679 - Ramblin' Wreck. Photo Caption: 2nd Lt. M.H. Jewett muses over damage to wing of Ramblin Wreck done during mission to Anklam. 9 Oct. 1943. 7 November 1943, Lt. M. H. Jewett (P), F/O P. C. McDuffee (CP), Lt. J. G. Stuart (N), Lt. J. C. Welman (B), T/Sgts. W. C. King, W. E. Neal, Sgt. A. G. Romulis, S/Sgts. 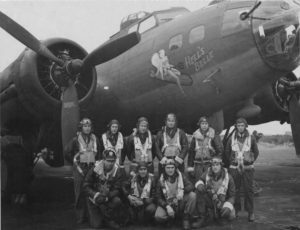 Elmer Weaver, S. P. Resko, F. H. Lenke flew mission to Wesel, Germany, A/C [42-3]060 - Hell's Belle. 16 November 1943, Lt. M. H. Jewett, F/O P. G. McDuffee, Lt. J. W. Ryan, Capt. 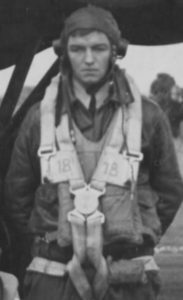 J. W. Maupin, (401st BG), T/Sgts. W. G. King, W. B. Neal, S/Sgts. Joseph York, Elmer Weaver, S. P. Resko, F. H. Lenke, Jr. flew mission to Knaben, Norway, A/C [42-3]073 - Lightning Strikes. HELL'S BELLE, from a B-17 to Stalag 17B: Based on the Memoirs of William E. Rasmussen (Santa Fe, NM: Sunstone Press, 2003).